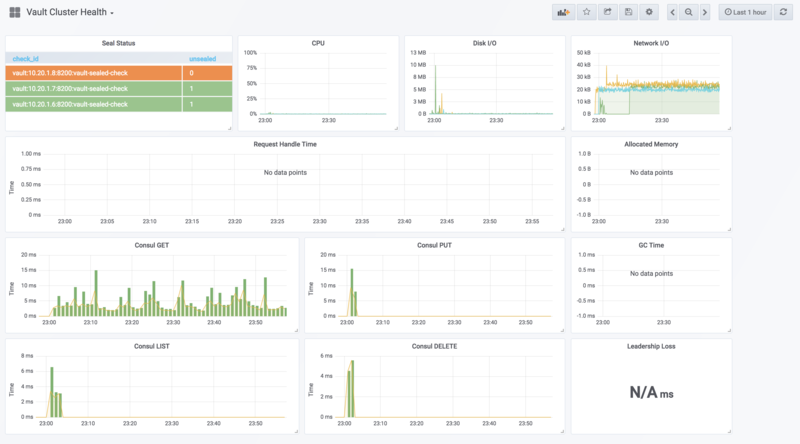 This Vault Cluster Monitoring Guide demonstrates monitoring of a Vault cluster configured with Consul as its storage backend. How to set up a monitoring stack (Telegraf, InfluxDB, and Grafana). How to configure Vault and Consul to send telemetry to a monitoring agent. Which metrics are important to monitor, and why.